I am NOT a Halloween person. It's true! I stopped trick or treating when I was still really young. I just didn't care about it. 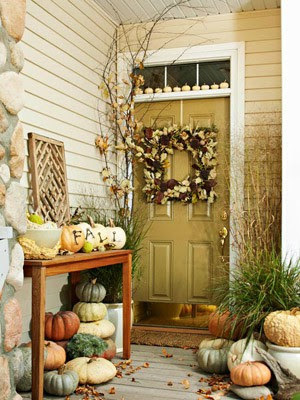 So with that said, I normally just totally ignore it when it comes to decorating and do the straight Fall thing. 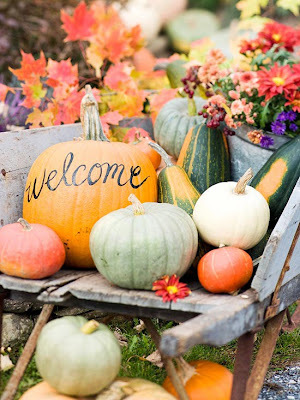 I have made a few Halloween themed items this year so perhaps I will incorporate it a little more but here are some fabulous Fall Themed ideas I found via Pinterest. 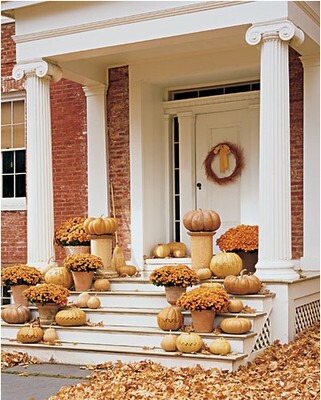 Elegant yet simple front porch decor. Fill a wheel burrow full of pumpkins. I love the color scheme of this porch. I have always loved lanterns so here's a fun way to transition them into Fall. 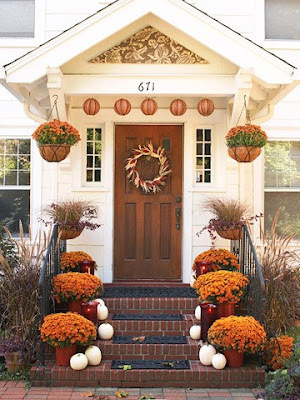 Another fabulous front porch decor idea. 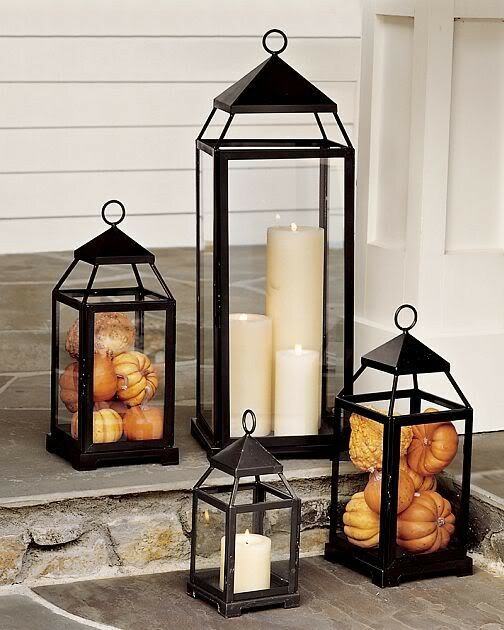 Do you usually decorate for Halloween or skip it like it do? 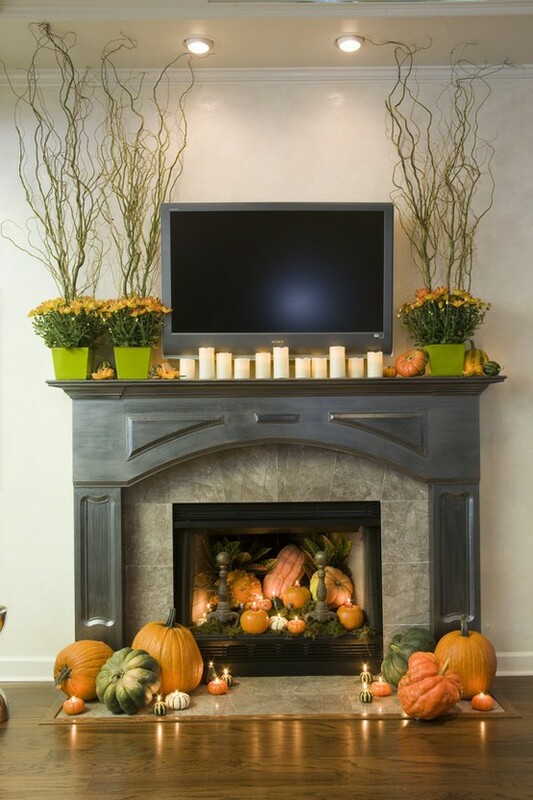 I totally agree about decorating for Halloween. I don't get it at all! 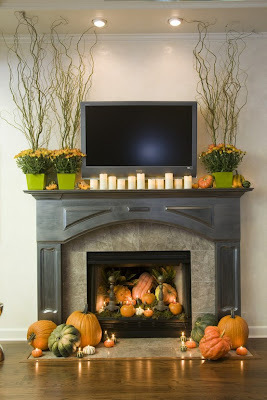 I usually have good intentions to decorate for Halloween, but somehow it never gets done. Maybe this year!